The 'Children Count' Early Childhood Fair was held at Brentwood Elementary School on April 4th, 2009, attracting about 120 families. 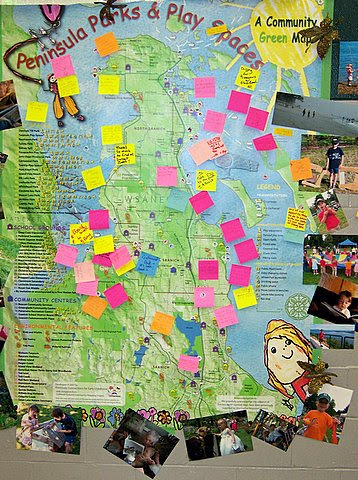 Building on the Saanich Peninsula PlaySpaces map, we started to collect place based stories from young children, aged 3-7 years and their parents. View the Children Count Slide Show at Picasa.